The activities below are among some of the most popular on offer in Victoria Falls, and may be booked through the Victoria Falls Safari Lodge’s Activities Desk or with your butler for guests staying at the Victoria Falls Safari Club. Sit back, relax and soak up the last rays of the African sun as you gently drift along the Zambezi River above the Falls with a gin and tonic in hand and enjoying delicious snacks. 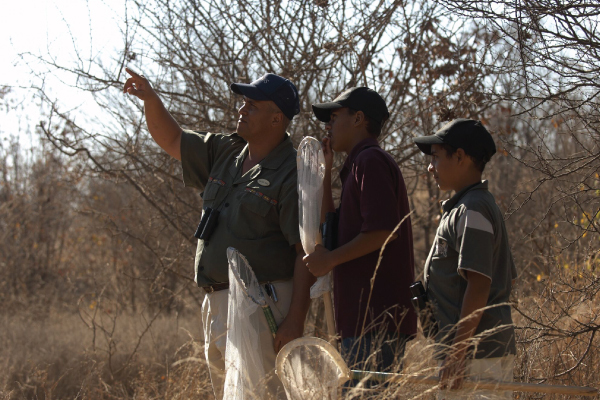 Look out for elephant, hippo, crocodile, magnificent birds and other wildlife. 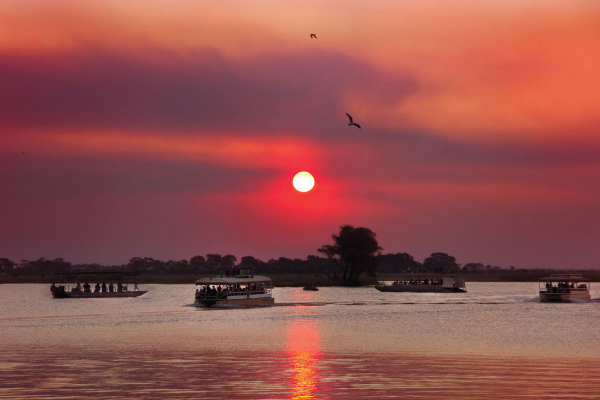 The finale of the cruise is the unforgettable sight of the sun setting over the Zambezi River, turning the sky into a myriad of reds, oranges and pinks and casting shadows and silhouettes all around. There is no better way to explore the African bush than on a guided game drive in an open safari vehicle. We offer drives in the early morning and late afternoon, allowing you to choose to do this activity when it best suits your itinerary. 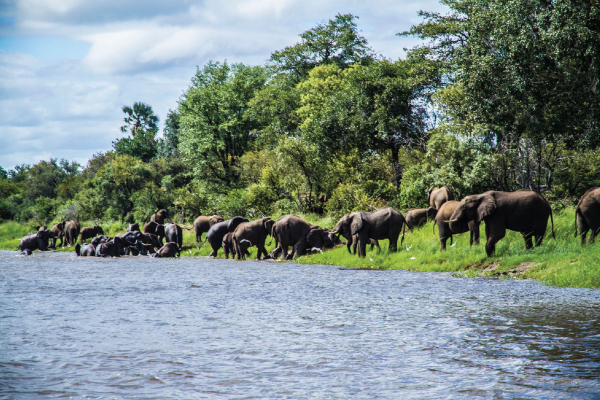 As well as numerous bird species, wildlife that may be seen on the game drive, taken through Zambezi National Park, includes elephant, buffalo, giraffe, zebra, waterbuck and other antelope. 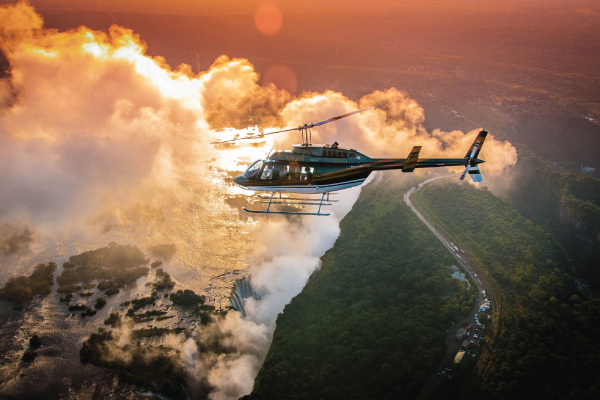 Sign up for an unrivaled and breath-taking bird’s-eye view of the majestic Victoria Falls and surrounding areas. There are three different types of flights that depart regularly throughout the day – a 15-minute flight takes you above the Victoria Falls, a 22-minute flight also takes you over Batoka Gorge and the Zambezi River, while a 25-minute flight includes game viewing opportunities over the Zambezi National Park. Victoria Falls, a UNESCO World Heritage Site, and the largest curtain of falling water in the world, can be enjoyed from the Zimbabwean side of the Falls 365 days of the year. On this tour you will be accompanied through the Rainforest by a qualified guide who will give a brief history of the Falls, as well as detailing the flora, fauna and other points of interest. Stop at lookout points along the way to marvel at one of the Seven Natural Wonders of the World. Lunar Rainbow tours are available during full moon nights. 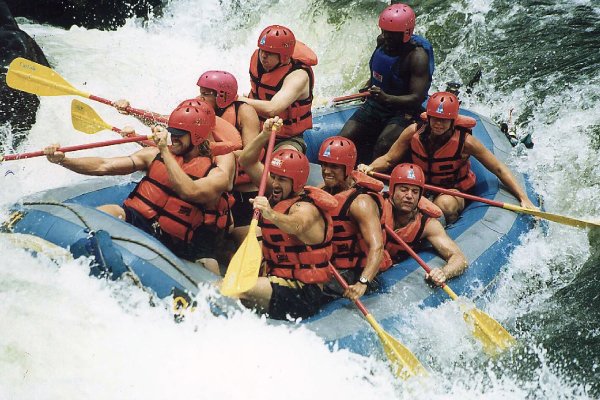 Arguably the wildest white water in the world, rafting the mighty Zambezi River is the ultimate adrenaline rush. The Zambezi rapids are officially defined as Grade 5 (Grade 6 being commercially un-runnable). The rafting experience begins at 7am when you are collected from your hotel. Save some energy for the steep walk out of the gorge at the end of an action-packed morning, where an ice cold coke or beer and a well-earned lunch awaits you. 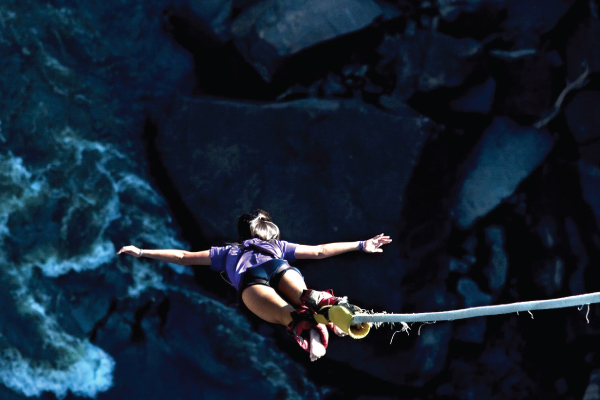 Be daring and test your limits with the high wire activities from the ‘Look-Out’, set on the spectacular cliffs of the Batoka Gorge, just 300m from the Victoria Falls. Experience a collection of mind-blowing extreme adrenaline activities – the gorge swing, zip line, flying fox, as well as a canopy tour, which is suitable for families and children from the age of six years.